A different shape for the gallery? Is this Titian as well? 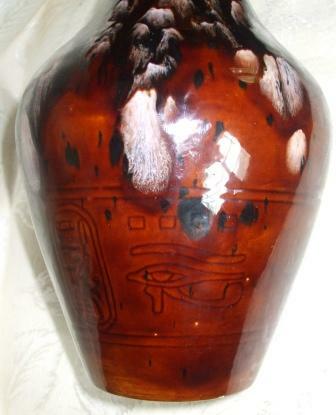 22cmh there is Egyptian patterns pressed into clay under the glaze round the top that is hidden so really only the lower half is visible. The base is flat & unmarked? ?hobby ceramics? Hmmmm hobby ceramics usually glazed the base and fired them on stilts for some reason. There may have been some that didn't though ..... this is a puzzler. 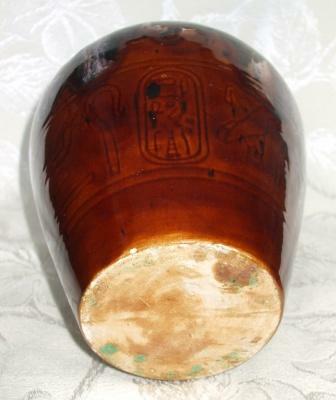 Are the Egyptian markings the same as on other Titian Egyptian ware? 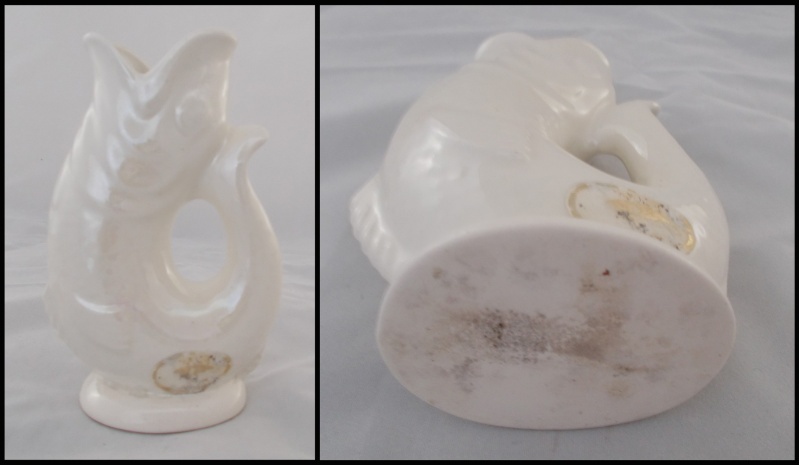 It has a flat creamy white interior glaze opposite to the very shiny glazed outer. 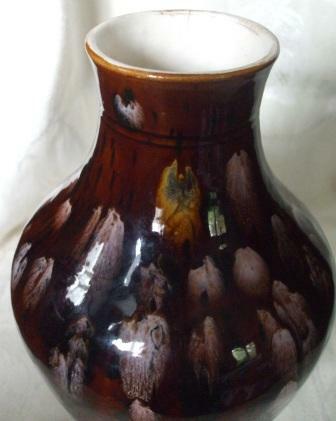 Hello Kat, The base and the running glaze at the top looks very much like my mega big Aquila vases that I posted. I am pretty sure that the vase is Aquila. 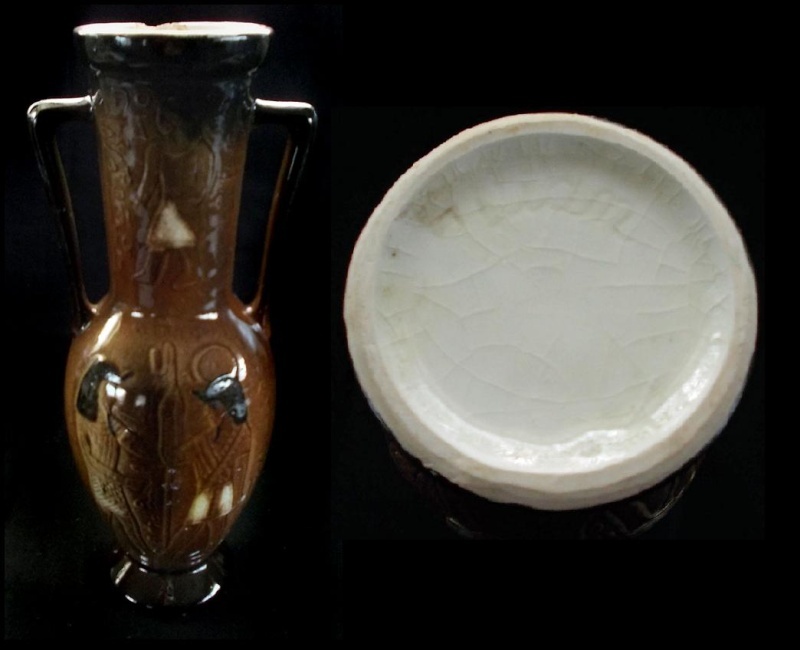 Hi Haselnuss, do you know of any other Orzel glaze decorated spotty like this? 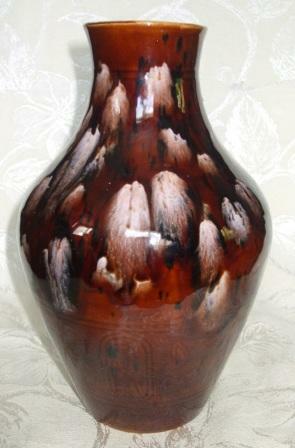 I am sooooo sure this vase was made by Orzel/Aquila and they did use the spotty glaze also the base looks just like the ones on some of my Aquila vases. If it is not lightweight like Hobby Ceramics pieces then it should be Aquila. 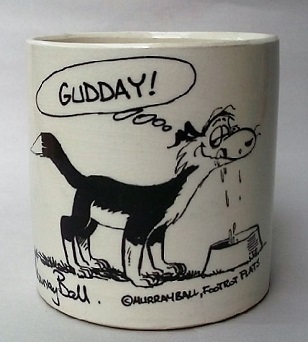 I'm not sure about the base haselnuss, it would be rare to see a flat base on the Brown's ware wouldn't it? Or do you have some other pieces of theirs like that? 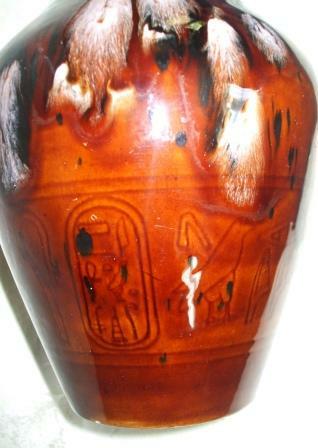 Yep, I have got a few Aquila vases with a flat base. Here are two. The Aquila swan also has a flat base. Into the Gallery it goes.